Sweet Sincerity: TOO HOT TO HANDLE!!!! 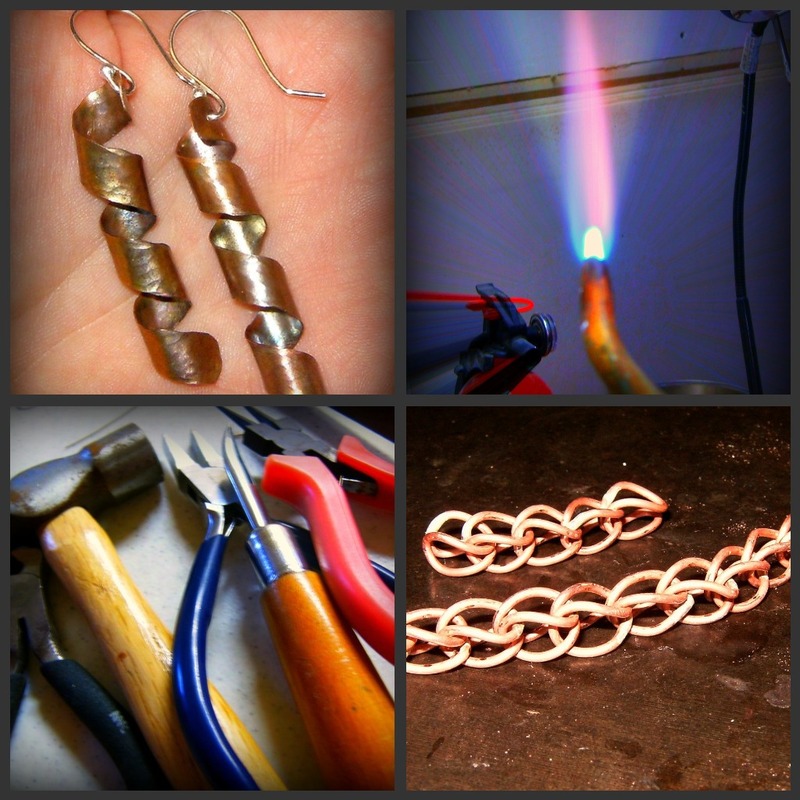 I Survived Metalsmithing Class Without Third Degree Burns! TOO HOT TO HANDLE!!!! I Survived Metalsmithing Class Without Third Degree Burns! So, yesterday was an AMAZINGLY WONDERFUL DAY! I was able to spend some quality time with my adorable parents, HOORAY! Strangely enough, a substantial amount of this bonding time was spent shopping for toilet fixtures for their upcoming bathroom remodel! FUNNY! LOL! 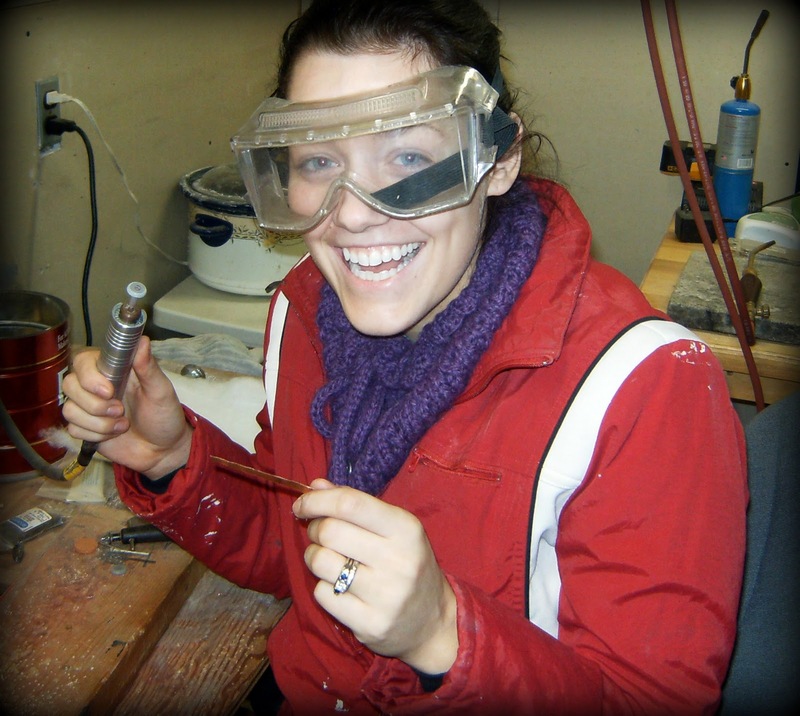 I also got to go to my first METALSMITHING CLASS!!!!! If you've read this blog before, you know how ridiculously excited I have been at the prospect of attending this class! The experience did not disappoint-it was so great! And, I am happy to report that I didn't hurt myself in ANY WAY, although I did knock a few things over and accidentally sit on the space heater at one point! :) Because of this total inherent lack of grace, the huge torch that I had to use scared the junk out of me. Not to worry, my instructor, who herself had been scalded by hot implements in the past, had good accident prevention tips that were extremely helpful! Look at this ridiculous picture of me! I don't even have the goggles on right-the strap is in my eye!!! In almost completely unrelated news, last night, I was trying to tell some Etsy sellers about my ridiculously awesome handmade work desk in my workshop. I told them all about the pullout section that houses my laptop, all the storage, the deep drawers, the large desktop workspace, and even the pencil sharpener that is attached to it! I just couldn't adequately describe it's awesomeness, but apparently some people found this dizzying half-description intriguing, and they asked if I had any pictures of my work desk they could see! I couldn't believe that I hadn't talked about it on my blog yet, so I quickly just took a picture and posted it on my facebook page!!! 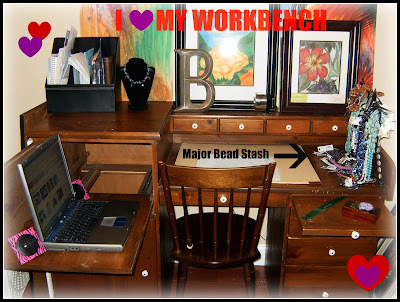 Then I resolved to write about my WORK DESK LOVE in an upcoming post. When we first got the desk, I am ashamed to admit I was not that excited about it. Let's just say that I really didn't think it was the most beautiful piece of furniture I've ever seen, and it took up a lot of space in my small workshop. That's because I am the kind of impractical person who values aesthetics more than functionality, and would still wear stiletto sandals in the middle of the winter to show off my pedicure, if my husband would let me. Apparently, he thinks I'm cuter with all 10 of my toes, completely un-frostbitten...go figure. :) Anyway, as the months rolled by, and I got my desk set up the way that I wanted it, I fell ABSOLUTELY IN LOVE with it! It's just SO FUNCTIONAL, and now an integral part of Sweet Sincerity Jewelry! ﻿Finally, I leave you with a few AMAZING Etsy Treasuries that I have had the privilege to be a part of! I have to say there are some people out there with AMAZING taste, and I'm not just saying that because they chose to include some of MY ITEMS! I feel honored to be chosen along side some of MY PERSONAL FAVORITE Etsy sellers. All of these collections are ABSOLUTELY STUNNING!!!! 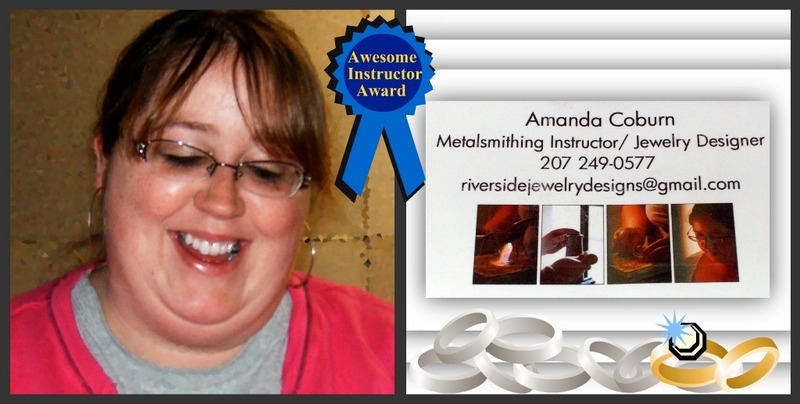 I would love to take a metal smith class. I just can't afford it. Nothing like that in this area either. My family does the same thing. I attend boutiques and they show up to support to buy $3 in earrings I know they won't wear but they try to hype it up. My next project to learn is sodering. I love your work bench. I am jealous of your space. Mine isn't that big or nice. But at least I have a space too. I like to see a glimpse into other peoples spaces and lives. Your space is much cleaner than mine though.